Travel Thru History The wild tale of the two Gerald Ford Assassination attempts. / Quick History / Why Did These Ladies Want to Kill President Gerald Ford? Why Did These Ladies Want to Kill President Gerald Ford? 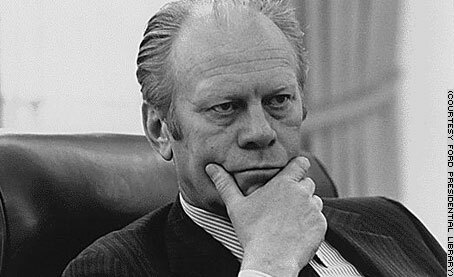 When one speaks of controversial Presidents who might get shot, one does not quickly respond with “Gerald Ford.” Sure, he immediately followed Richard Nixon’s failed presidency and subsequent resignation. And this particular period of US history is rife with government mistrust, but to have two failed assassination attempts within days of each other, both by women (the only women Presidential assassins in US history), and you’ve got to wonder just what the heck was going on. 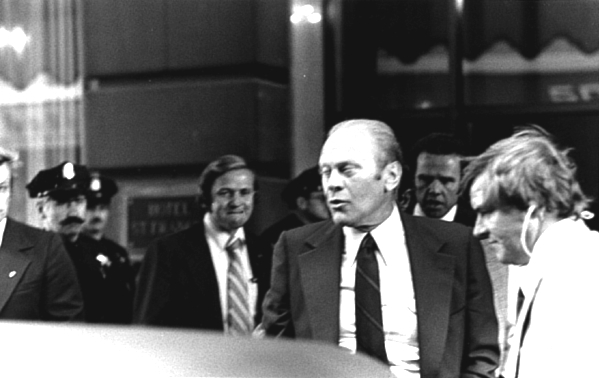 Gerald Ford wondering why the chicks don’t dig him. 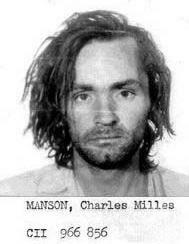 26 year old, professional loon, Lynette Alice Fromme, nicknamed “Squeaky” for her high pitched voice, was a devoted follower of cult leader Charles Manson. The Manson family, as they were known, was a murderous group of crazy, vagabond types, whose leader Charles, was convicted of the murder of actress Sharon Tate in 1969. Here it is 1975, just four years after Squeaky tried to feed an LSD laced hamburger to a witness to the Tate murder, she’s now apparently turned her malice towards the President. Her reason? She believed that car exhaust was killing California redwood trees, and Ford’s lax environmental policies meant he needed a good killing. 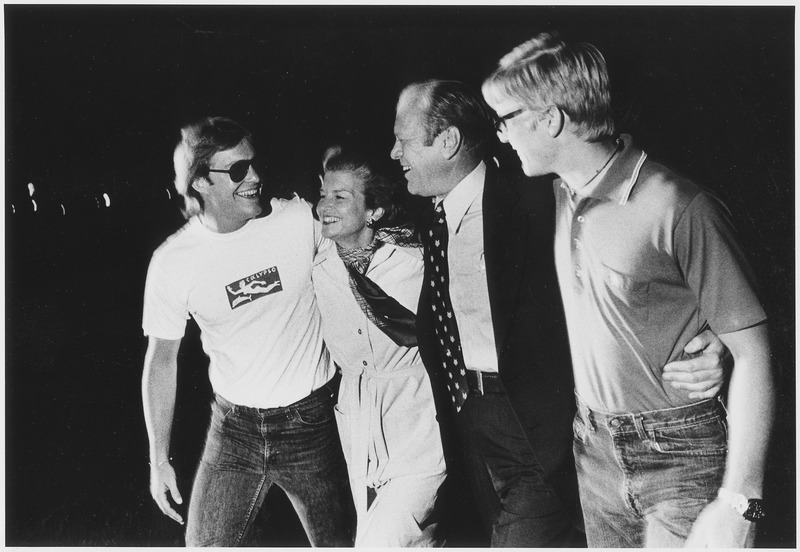 In Sacramento, on September 5th, 1975, President Ford was exiting a speaking engagement, and went into a park to shake hands with the crowd. Wearing an all red, flowing, gown to signify the “animals and earth colors,” Fromme raised a pistol at Ford, just two feet away from him, and pulled the trigger. Although her Colt .45 had plenty of ammo, she did not load a bullet into the chamber, thus her point-blank trigger pull went “click.” She would not get a another chance. Secret service jumped her, and took her to the ground. Fromme shouted, “It didn’t go off. Can you believe it? It didn’t go off!” Five years later, Squeaky would say that she never loaded the chamber, because she wasn’t serious about killing Ford. 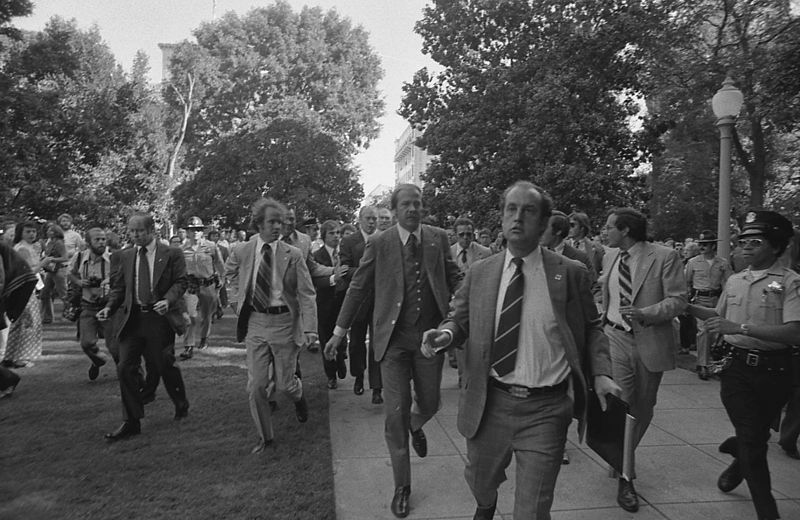 Ford being rushed away from the scene of the assassination attempt. Ford told the Secret Service, who were now whisking him away, to “Put me down!” He continued to his meeting with California Governor Jerry Brown, and didn’t even mention the assassination attempt to him for 30 minutes. At her trial she acted like a looney toon, at one point throwing an apple at the prosecutor and refusing to listen to her own counsel. She was convicted and sentenced to life in prison. During her imprisonment, Fromme escaped from prison, and as a result, received extra time to her sentence after her capture two days later, on December 26, 1987. However, in 2009 Squeaky was released. 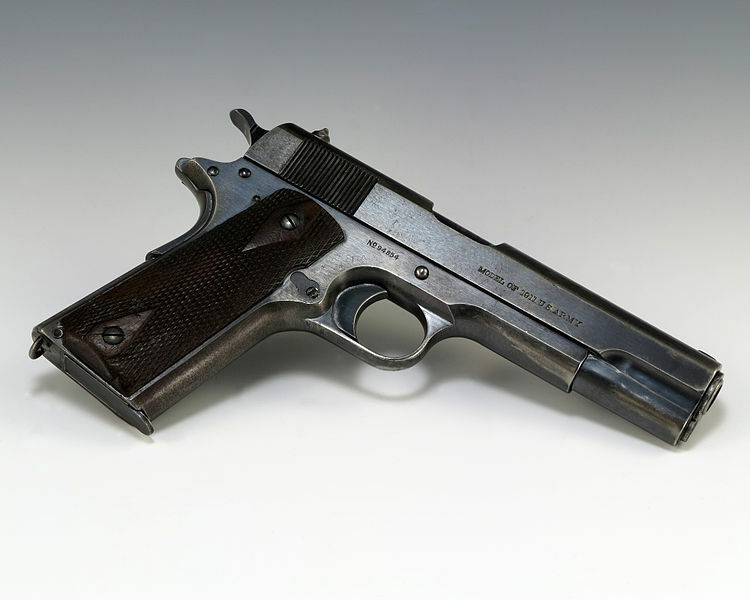 Her Colt .45 now lives in the Gerald Ford Presidential Museum in Ann Arbor, Michigan. The Colt .45 used by Squeaky Fromme now lives in the Gerald Ford Museum in Michigan. Smash cut to 17 days later. Ford is leaving a hotel in San Francisco (What is up California?). Professional divorcée (five time champion), Sara Jane Moore is in the crowd. She’s mad-as-a-hatter and has turned to revolutionary politics. You might wonder why just 17 days after an assassination attempt the secret service is still letting Ford out into to crowds? Ford insisted, “a president has to be aggressive, has to meet the people.” However, the secret service made slight adjustments to the allowable crowd distance. Just a day before the attempt Sara is arrested on a gun charge. Her .44 caliber handgun with over 100 rounds of ammunition was taken from her. But that wasn’t going to stop our Sara. She bought a .38 pistol, and used it to shoot at the President. This time there wouldn’t be a misfire. A shot rang out! But the sites on her new gun were off by six inches, causing the shell to miss Ford and ricochet off the building – slightly injuring a bystander. An off duty Marine named Oliver Sibble took her down before she got off shot number 2. President Ford wincing as the bullet goes by. Judge Samuel Conti, who presided over Moore’s trial, still on the bench in 2010, spoke on the record, that Moore would have killed President Ford had she had her own gun, and it was only “because her gun was faulty” that the president’s life was spared. “I do regret I didn’t succeed, and allow the winds of change to start. I wish I had killed him. I did it to create chaos.” – Sara, at trial.